03/03/16 -- Soycomplex: Beans closed with small gains. Weekly export sales of 440,100 MT for 2015/16 were up 70 percent from the previous week's modest total and 35 percent above the prior 4-week average. Exports of 1,228,100 MT were down 14 percent from the previous week and, as ever, the primary destination was China (755,600 MT). The Brazilian real was stronger for a change, reaching it's highest level against the US dollar since late December. The FAO forecast world soybean production in 2015/16 at 320 MMT, which is unchanged from a month ago and 1 MMT less than the USDA. Mar 16 Soybeans settled at $8.56 1/4, up 2 cents; May 16 Soybeans settled at $8.63 3/4, up 2 1/4 cents; Mar 16 Soybean Meal settled at $262.00, up $0.80; Mar 16 Soybean Oil settled at 30.41, up 24 points. Corn: The corn market closed a tad lower. Weekly export sales of 1,097,600 MT for 2015/16 were up 18 percent from the previous week and 25 percent from the prior 4-week average and in line with trade expectations. Exports of 789,800 MT were down 9 percent from the previous week, but up 13 percent from the prior 4-week average. The FAO estimated the world 2015/16 corn crop at 1000 MMT, down 4 MMT from previously, although still 30 MMT higher than the USDA. The drop was "reflecting reduced production estimates for India, Iran, Mexico and Myanmar," they said. Ending stocks were forecast at 218 MMT versus 219 MMT last month and the USDA's 209 MMT. Mar 16 Corn settled at $3.53 3/4, down 3/4 cent; May 16 Corn settled at $3.56 1/2, up 1/4 cent. Wheat: The wheat market closed with decent gains on what looks like fund money short-covering. Weekly export sales were no more than OK at 344,300 MT for delivery in marketing year 2015/16 - down 11 percent from the previous week, but up 42 percent from the prior 4-week average. There were also sales of 66,300 MT for new crop. Weekly exports of of 388,000 MT were up 69 percent from the previous week and 32 percent from the prior 4-week average, which highlights how poor things have been lately. The FAO cut 4 MMT off their global 2015/16 wheat production estimate, taking that down to 733 MMT (USDA: 736 MMT). The reduction was mostly because of cuts in India and Iran, they said. They have ending stocks at 205 MMT (USDA: 239 MMT). May 16 CBOT Wheat settled at $4.59 3/4, up 9 1/2 cents; May 16 KCBT Wheat settled at $4.66, up 11 cents; May 16 MGEX Wheat settled at $4.98, up 9 1/2 cents. 03/03/16 -- EU grains closed mostly higher in what looks like consolidation following the recent rout. US wheat futures, in which the principle bullish factor seems to be the hefty short position held by fund money, were steadier today adding support in Europe. At the finish, Mar 16 London wheat was up GBP0.85/tonne at GBP100.00/tonne, Mar 16 Paris wheat was EUR0.75/tonne firmer at EUR144.25/tonne, Mar 16 corn fell EUR1.00/tonne to EUR147.00/tonne and May 16 rapeseed was EUR3.25/tonne higher at EUR346.75/tonne. Fundamentally nothing much has changed. World carryover stocks are record. Production in 2016, whilst seen marginally lower than last year, is still bumper, and competition for exports is fierce. On a UK level specifically: "The latest update of Defra’s cereals balance sheets reveal a heavier UK market situation than forecast in November. Lower H&I usage and animal feed demand, combined with bigger supplies contributed to growing surpluses. A strong export pace for wheat and barley in the second half of the season will be key to diminishing the surpluses available," say the HGCA. For wheat, UK Jul/Dec exports of fractionally under 1 MMT out of an exportable surplus/carryover stocks estimate of 4 MMT, leave plenty to go at for the remainder of the season. It's highly likely then that carryover stocks heading into 2016/17 will be rather large at around the 2 MMT mark. That's not a good time then to be seeing lower demand for H&I usage in evidence for wheat, barley and corn domestically. The very large old crop/new crop spread remains the one saving grace, although the fact should not be ignored that new crop prices are in decline - they just aren't falling as rapidly as they are for old crop, at least for now. How much longer that scenario can continue to play out remains to be seen. We can extract a bit of bullish news from Ukraine, where 2016 wheat production is forecast 28% lower at 19.2 MMT (of which winter wheat will account for 18.6 MMT), according to APK Inform. 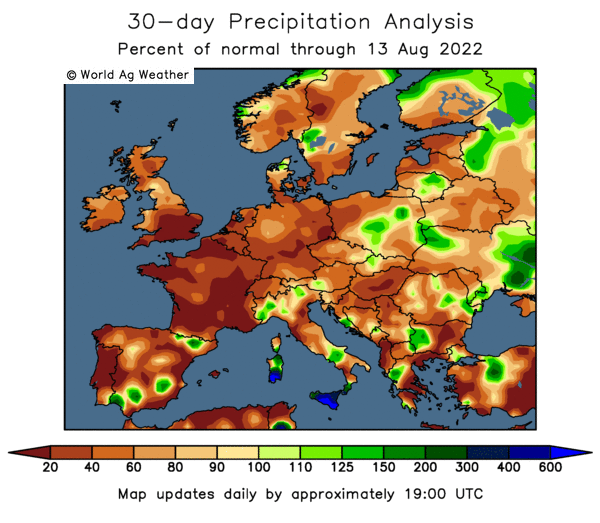 Although they note that this is probably a worst case scenario for wheat there, favourable weather conditions could help yield potential improve between now and harvest time, they note. Russia's prospects at this early stage are more optimistic, as indeed they are also across much of Europe - especially in the leading producing nation France where 2015/16 ending stocks are also forecast unusually high. 02/03/16 -- Soycomplex: Beans closed with small gains. China's COFCO estimates their 2015/16 soybean imports needs at 83 MMT, which is 2.5 MMT higher than the USDA. Much of those needs with be furnished by South America however. FCStone raised their forecast for Brazil to 98.6 MMT, up 600 TMT from their previous estimate. Informa went even higher at 101.3 MMT, up 800 TMT from previously. Both would be record amounts. Trade estimates for tomorrow's weekly export sales report for beans differ quite widely, from between 250,000 to 750,000 MT. Mar 16 Soybeans settled at $8.54 1/4, up 3 1/2 cents; May 16 Soybeans settled at $8.61 1/2, up 3 1/2 cents; Mar 16 Soybean Meal settled at $261.20, up $3.10; Mar 16 Soybean Oil settled at 30.17, down 15 points. 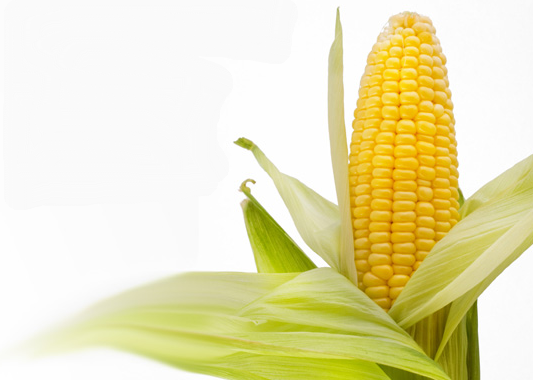 Corn: The corn market closed with token gains. Brazil shipped out a record 5.4 MMT of corn in February, and also exported all time monthly high volumes in both December and January, although these are now expected to drop off as the soybean harvest progresses. Weekly US ethanol production last week fell 7,000 barrels per day from the previous week to 987,000 barrels per day. South Korea's KFA are tendering for 60,000 MT of South American corn. 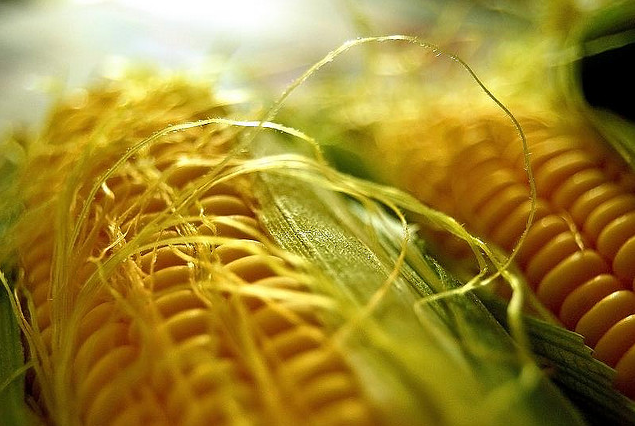 Informa raised their estimate for Brazilian corn production to 82.5 MMT. That's up 0.9 MMT from last month, but still 1.5 MMT less than the USDA's 84.0 MMT forecast. Trade estimates for tomorrow's weekly export sales report are seen around 900 TMT. Mar 16 Corn settled at $3.54 1/2, up 3/4 cent; May 16 Corn settled at $3.56 1/4, up 1/2 cent. Wheat: The wheat market closed firmer. Egypt bought 120,000 MT of Romanian wheat and 60,000 MT of Ukrainian wheat for April 5-14 delivery. The average price including freight was $184.71/tonne versus US values of around $210/tonne. Taiwan are tendering for 101,000 MT of US wheat. Japan are in the market for their regular weekly tender of 126,698 MT of wheat, most of which will be US origin. Jordan cancelled a 100,000 MT wheat tender, but did buy 100,000 MT of barley in a separate tender. The US are having to scrap for every last little order on wheat. Trade estimates for tomorrow's weekly export sales report are 250,000 to 550,000 MT.May 16 CBOT Wheat settled at $4.50 1/4, up 4 1/4 cents; May 16 KCBT Wheat settled at $4.55, up 5 1/2 cents; May 16 MGEX Wheat settled at $4.88 1/2, up 3 1/4 cents. 02/03/16 -- EU grains closed mostly lower again - with new near 6-year lows for both London and Paris wheat. At the finish, friendless front month Mar 16 London wheat was down GBP0.60/tonne at GBP99.15/tonne, Mar 16 Paris wheat fell EUR1.50/tonne to EUR143.50/tonne, Mar 16 Paris corn was up EUR1.50/tonne to EUR148.00/tonne and May 16 Paris rapeseed was down EUR3.50/tonne to EUR343.50/tonne. Growers are understandably reluctant sellers at these levels, but buyers are equally relaxed. Spring will soon be here, bits and bobs of early plantings have already taken place in parts of the Black Sea region. Easter is early this year, and the way things are looking so too will be turnout, traditionally timed to coincide with Easter weather permitting, for dairy farmers. Hence there isn't much business being transacted. In Ukraine, the Ag Ministry said that spring grain plantings will rise 1.7 million ha. This is essentially due to 1.15 million ha of winter grains that never got planted due to the very dry autumn, and replanting of a further 600k ha of winter sown crops that failed to germinate. Agritel said that sunflower will be the "big winner" of these available extra spring acres. APK Inform forecast Ukraine's all barley area for the 2016 harvest at 3 million ha, a 5% rise on last year. 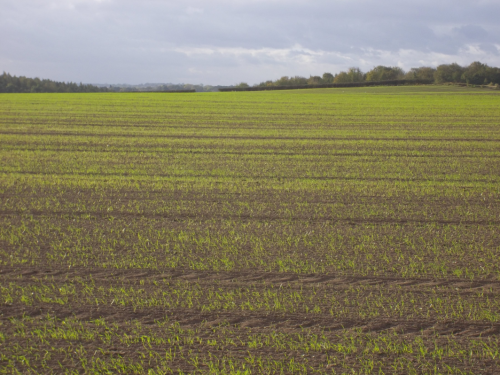 That consists of 816k ha (-36%) of winter barley and 2.15 million ha (+22%) that will be spring sown. Even so, as recently as 2010 Ukraine was planting 4.5 million ha of barley, showing how things have altered. Spring corn, sunflower and soybeans have all seen dramatic increased in growth. Jordan bought 100,000 MT of optional origin barley and cancelled a similar tender for 100,000 MT of wheat. Algeria said that they'd increased wheat imports in January by 15% to 506,000 MT. Egypt's GASC bought 180,000 MT of wheat in a late tender, split one cargo of Ukraine origin and two of Romanian. 01/03/15 -- Soycomplex: Beans closed around 2-4 cents lower. Fresh news was scarce, and the path of least resistance is downwards. Harvest pressure is mounting from Brazil. Even though February is not traditionally a big month for Brazil, they still exported more than double the volume of beans shipped out last month than they did in the same period in 2015 (2.04 MMT). The Argentine peso made new record lows against the US dollar, favouring their exports over those from the US. 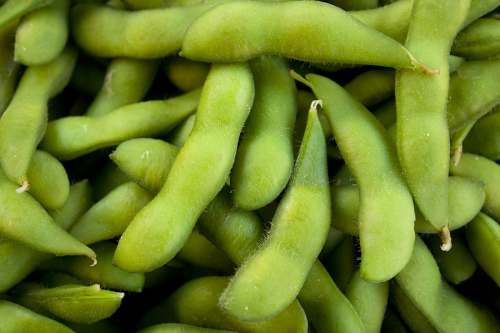 The USDA reported the sale of 140,000 MT of old crop soybeans to unknown under the daily reporting system. Mar 16 Soybeans closed at $8.50 3/4, down 2 1/4 cents; May 16 Soybeans closed at $8.58, down 3 cents; Mar 16 Soybean Meal closed at $258.10, up $1.20; Mar 16 Soybean Oil closed at 30.32, down 32 points. Corn: The corn market closed mostly a cent or two lower. Fresh news was even lighter for corn than it was for beans. Rusagrotrans said that Russia would export a record 4.6 MMT of corn this season. They shipped out 670,000 MT last month and are expected to move a similar 650,000 MT this month. Total corn exports to the end of February were 2.6 MMMT, leaving a further 2 MMT to go over the remainder of the season. With the Brazilian harvest now well progressed, and the US Outlook Forum behind us, the market will soon start to turn it's attention to US weather and prospects for the 2016 harvest. It's very early days, but extended weather forecasts call for a mild and wet Midwest during June and July, offering little in the way of a threat to early corn plantings. Mar 16 Corn closed at $3.53 3/4, up 1/4 cent; May 16 Corn closed at $3.55 3/4, down 1 1/4 cents. 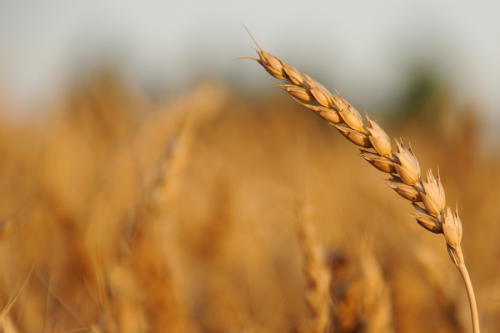 Wheat: The wheat market closed lower. Australia's ABARES forecast their wheat harvest at 24.5 MMT, up 1% from a year ago. They see exports falling 2% to 17.27 MMT however on increased competition. Australian barley production was forecast 1% higher at 8.6 MMT. The total world wheat crop in 2016/17 was estimated at 710 MMT versus 729 MMT last year. Global wheat plantings were seen down 2 million ha to 221 million, with yields also reduced slightly. Even so, very large carryover stocks from 2015/16 will leave the world with more wheat in terms of total supply than ever before in 2016/17. Without a serious threat to wheat or corn production somewhere major that could remain a millstone around the neck of wheat for some time yet. Mar 16 CBOT Wheat closed at $4.38 1/2, down 6 1/2 cents; Mar 16 KCBT Wheat closed at $4.37, down 8 cent; Mar 16 MGEX Wheat closed at $4.86, down 6 cents. 01/03/16 -- EU grains closed lower, with wheat setting lifetime contract lows on both sides of the Channel. London wheat slipped below the GBP100/tonne mark, to close at the lowest level for a front month since Jun 2010. At the close of trading, Mar 16 London wheat was down GBP1.95/tonne at GBP99.75/tonne. In Paris, Mar 16 wheat was EUR2.25/tonne lower at EUR145.00/tonne, Mar 16 corn was down EUR0.25/tonne at EUR146.50/tonne and May 16 rapeseed fell EUR2.75/tonne to EUR347.00/tonne. So, the horror show goes on, for London wheat in particular. The only crumb of comfort that can be gathered there, if you're a grower, is that the old crop May 16/new crop Nov 16 premium widened to GBP12.60/tonne. Even so, Nov 16 still fell GBP1.65/tonne versus yesterday and now sits at a new contract low of GBP114.45/tonne. Things are only marginally better for French wheat, closing half a euro above today's lifetime contract low set on the Mar 16 position. Winter wheat conditions are pretty good across the majority of the continent as the crop wakes up from dormancy, and production levels only marginally below last year's record output are what analysts are currently factoring in. That's true also on a global level, with Australia's ABARES today forecasting the global wheat crop at 710 MMT in 2016/17, down 2.6% compared to 729 MMT last year. Carry-in stocks left over from this season meanwhile are predicted at all-time highs. Strong competition from the likes of Russia is one of the reasons that stocks are so high. They exported 3 MMT of grains in February, including over 2 MMT of wheat, 250 TMT of barley and 670 TMT of corn, according to RusAgroTrans. They will export similar volumes this month - 2.8 MMT of grains, of which 2.0 MMT will be wheat, 150 TMT barley and 650 TMT corn. That puts them on track to export a record 33.65 MMT of grains in 2015/16, they predict. That includes a record 24.5 MMT of wheat and a record 4.6 MMT of corn, aided by bumper 2015/16 production and the weak rouble. The USDA currently only have Russia's wheat exports at 23.5 MMT and those of corn at 3.8 MMT. French corn growers group AGPM said today that the country will reduce corn plantings in 2016 by 6%, partly due to increased wheat sowings in the autumn and current low prices for corn putting off growers. 29/02/16 -- Soycomplex: Beans closed with little change. The market is adjusting to the seasonal switch over in demand from US beans to South American origin. Weekly US export inspections were pretty decent at 1.049 MMT when viewed in the context of being 61% larger than they were on the same week in 2015, even if they were 32% lower than last week's total. Season to date inspections are now 8.2% behind last year. The USDA sees full season exports declining 8.3%, so we are no in line to hit that target. The January Argentine soybean crush is reported at 3.84 MMT, up from 1.79 MMT a year ago, making them aggressive sellers of meal. Mar 16 Soybeans closed at $8.53, down 2 cents; May 16 Soybeans closed at $8.61, down 2 1/2 cents; Mar 16 Soybean Meal closed at $259.30, up $2.10; Mar 16 Soybean Oil closed at 30.64, down 33 points. Corn: The corn market closed lower for a fifth straight session. Weekly export inspections of 737,602 MT were down 19% from the previous week and 42.5% smaller than the same week a year ago. Season to date inspections of 14.76 MMT are now down 20.6% compared to this time last year. The USDA currently only sees these falling 10.2% year-on-year, so there's some lost ground to be made up here. The strong US dollar won't be helping. The head of Brazil's cereal exporting association Anec forecasts the country's corn exports down to 28 MMT in 2016 versus the record 30.75 MMT shipped out in 2015. APK Inform said that Ukraine's seaports exported 353.8 TMT of grain last week, of which almost all was corn (343.2 TMT). Russian spring plantings are underway early due to much milder than normal weather conditions. They are expected to plant and harvest another record corn crop this year. Mar 16 Corn closed at $3.53 1/2, down 1 cent; May 16 Corn closed at $3.57, down 2 1/2 cents. Wheat: The wheat market closed narrowly mixed. Weekly export inspections of 371,934 MT were fair. Season to date inspections of 14.79 MMT are now 13% behind last year, although the USDA expects this to improve to only 5.5% behind by the end of the 2015/16 season. 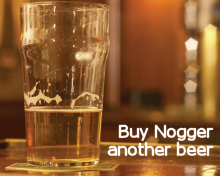 Seeing as that finishes in May, that may be unlikely. Saudi Arabia bought 880,000 MT of various origin wheat over the weekend. EU wheat is reported to be in generally good condition following a pretty mild winter. Ukraine's wheat exports via seaports dropped off to a smidgen last week. Russia's were still pretty robust at 523.3 TMT of the 623.4 TMT exported. Russia's 2015/16 total grain exports are now 1.9% ahead of last years pace at 24.65 MMT including 18.37 MMT of wheat. Algeria’s grain agency said that it had purchased at least 280,000 MT of durum wheat sourced mostly from Mexico and Canada. Mar 16 CBOT Wheat closed at $4.445, up 1 3/4 cents; Mar 16 KCBT Wheat closed at $4.45, up 1 cent; Mar 16 MGEX Wheat closed at $4.92, up 2 3/4 cents. EU Grains End Little |Changed, Does Brexit Vote Hold The Key For London Wheat? 29/02/16 -- There wasn't a great deal of change to EU grains prices to set the ball rolling for the week. 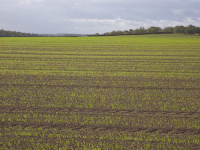 At the finish, Mar 16 London wheat was up GBP0.20/tonne at GBP101.70/tonne, Mar 16 Paris wheat was EUR1.75/tonne firmer at EUR147.25/tonne, Mar 16 corn rose EUR0.50/tonne to EUR146.75/tonne and May 16 rapeseed was down EUR0.25/tonne to EUR349.75/tonne. Saudi Arabia were reported to have bought 880,000 MT of wheat over the weekend in their tender for 770,000 MT. The prices paid were said to be between $186.18-191.38/tonne C&F for Apr/Jun shipment. 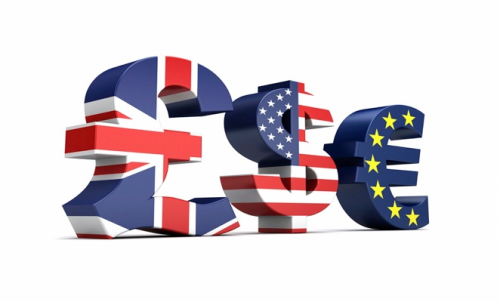 UniCredit said that the pound could rise to $1.60 by the end of 2016, as it is currently undervalued and exposed to a "blistering recovery" should the UK vote to stay in the EU this June. That could put new crop London wheat under pressure, especially given the current large premium that it commands over old crop, if they are correct. EU grains are largely in good condition due to the relatively mild winter thus far, report Reuters. 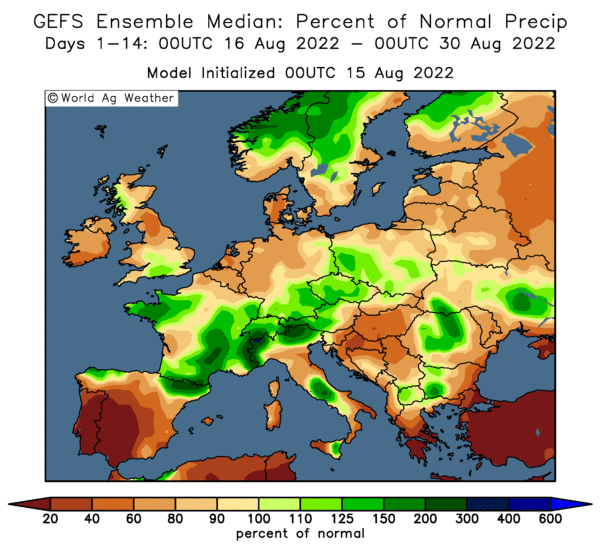 French analysts Arvalis reported that winter wheat crops there are 1-2 weeks ahead of normal advancement. FranceAgriMer reported crop conditions at 94% good to very good as of last week. In Germany, winter wheat mostly escaped frost damage in late December/January apart from a few areas bordering the Polish border. Given that we are now at the end of February, and that March is normally a much warmer month in Germany, traders there are optimistic that they've now escaped the worst of any winter threat. In the UK, things generally look pretty good also. Poland potentially has one or two problem areas from winter-kill, as mentioned. 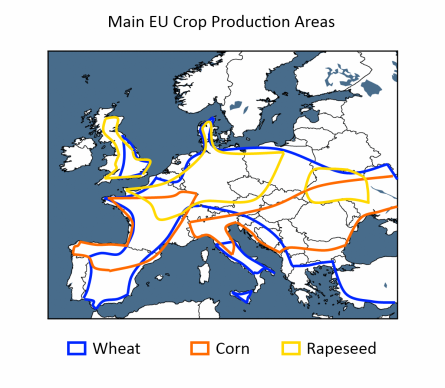 However these are largely confined to the northern/central regions, with no more than 10% of the crop likely to be affected, according to Sparks Polska. 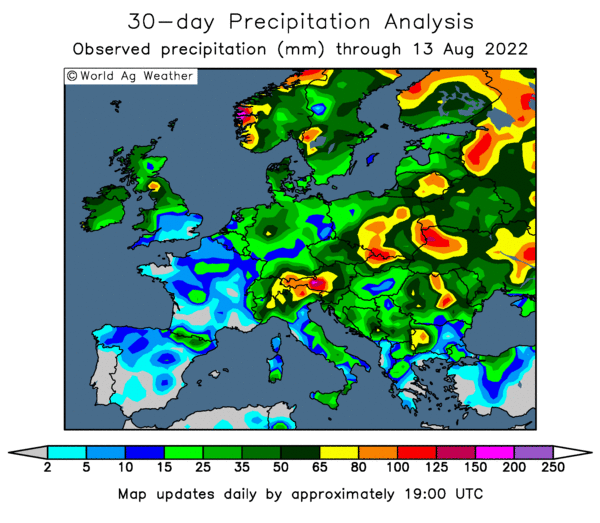 All in all then, as things stand, Europe should be in line to produce a similar crop to that of 2015, given normal/reasonably favourable weather conditions between now and harvest time. Even if not, carryover stocks from 2015 will be unusually large. Russian seaports exported 623.4 TMT of grain last week, up from 509.1 TMT the previous week. Wheat accounted for 68%, or 423.3 TMT, of that total, corn 112.8 TMT and barley 68.8 TMT. Total Russian season to date exports have now overtaken last year at 24.65 MMT (up 1.9%). That includes 18.37 MMT of wheat, 3.49 MMT of barley and 2.59 MMT of corn. Much warmer than normal weather in the south of Russia means that spring plantings have got off to an unusually speedy start, with sowings said to be around 18 days ahead in the Stavropol region for example. That should extend the growing season and little and help maximise yields. Ukraine's seaports only exported 353.8 TMT of grain last week, down from 484 TMT the previous week, with wheat shipments slowing to just 10.6 TMT. Corn was responsible for the rest (343.2 TMT). Early spring grain plantings here are also now taking place somewhat earlier than normal. Forget What Will Happen If We Vote To Leave Europe, What Will Happen If We Don't? 29/02/16 -- Yet again the weekend newspapers are full of "Brexit" talk and what it could mean for the UK economy, your mortgage, the cost of living and just about everything else. It all smacks a bit of what do we print when there's not a lot of fresh news to me. Whether you think a "leave" vote would be a good idea or not, what do YOU think the chances actually are of one being passed? Not that high huh? Me neither. You can currently get 9/4 from William Hill, which isn't bad in a two horse race. If you cast your minds back to the Scottish referendum, the bookies were quoting an even more appealing 3/1 for a "Yes" vote back then, when the papers were also full of "too close to call" and "it's on a knife edge" speculation. Of course, as we now know, there ultimately was never much danger that they were going to be paying out on that one. Despite the having the considerable weight of Boris behind the "Leave" campaign, I just can't see it getting voted through by the Great British Public, even if the papers still have almost 4 months to hype the thing up even more (although that isn't to say that they won't be at least partially successful in this task in the meantime). So what does this mean for the pound, and more importantly the grain market? It seems that whilst the market is currently factoring in at least some, if not entirely all, of the "bad news" should we vote to leave, there's been little consideration given to the "stay" vote - and that's the bookie's 1/3 favourite. UnoCredit are taking a step back from the hype and say that sterling could be in for a "blistering recovery" in the second half of 2016, assuming that we vote to stay in Europe (as they expect). HSBC agree with them for what it's worth, and both have a GBP/USD exchange rate of 1.60 in mind for the end of the year. That's more than 15% above where we currently languish. If they're correct, and London wheat was simply to match the pound's subsequent rise in value versus the US dollar in the second half of the year, then LIFFE wheat would be under GBP100/tonne come November - a not unimaginable scenario, it is after all only a couple of quid away from being there on front month Mar 16. Another reason to consider taking some of the hefty premium currently on offer for Nov 16 London wheat? This is also 11.9% more than where May 16 currently trades. The Paris Dec 16 over May 16 premium is 8.4% by comparison and in Chicago it's only 6.8%. So why hang onto the one that's most out of sync with the others? Because you're emotionally involved with London wheat? Because "things have to get better"? I hope things do get better, but sitting there with nothing sold on new crop when it is (and has been for some time) offering you a serious and logical reason to lock in a bloody good premium (even if not a nice profit) is more than a bit delusional. And don't forget that Nov 16 has dropped a tenner since the turn of the year. That's ten pounds lost, not a fiver saved just because Mar 16 is down GBP15/tonne during the same period. 26/02/16 -- Soycomplex: Beans closed lower on the day and for the week. The USDA's Outlook Forum put 2016 US soybean yields at 46.7 bu/acre, with production potentially at 3.810 billion bu. There are only very early preliminary estimates. It is worth noting that they were at 46.0 bu/acre and 3.8 billion bu last February, before ending up at 48.0 bu/acre and 3.930 million for 2015. Soybean exports are expected to rebound to 1.825 billion bushels (from 1.69 billion in 2015/16). The Buenos Aires Grain Exchange predict Argentine soybean production at 58 MMT this year, unchanged from previously. The Argentine Ag Ministry are more bullish at 61.4 MMT. The latest Commitment of Traders report shows fund money cutting their net short position in beans in half for the week through to Tuesday night. They now stand around 22k short. Mar 16 Soybeans settled at $8.55, down 4 cents; May 16 Soybeans settled at $8.63 1/2, down 2 cents; Mar 16 Soybean Meal settled at $257.20, down $2.80; Mar 16 Soybean Oil settled at 31.03, up 38 points. For the week Mar 16 beans ended 23 1/4 cents lower, with meal falling $7.30 and oil losing 36 points. Corn: The corn market ended the day around a cent lower on the day and 10 cents easier for the week. The Outlook Forum has 2016 US corn yields at 168.0 bu/acre and production of 13.820 billion bushels this year. Last February's numbers were 166.8 bu/acre and 13.595 billion bushels. They were ultimately 168.4 bu/acre and 13.601 billion bushels, so those weren't bad guesses at all. The Buenos Aires Grain Exchange kept Argentina’s crop at unchanged at 25.0 MMT. The Ministry (forecasting all corn production) go for 33.8 MMT. Agroconsult raised their estimate for Brazilian all corn by 1.7 MMT to 87.3 MMT (1st crop, up 600 TMT to 28.5 MMT; 2nd crop up 1.1 MMT to 58.8 MMT). The USDA are currently only at 84 MMT which now looks a bit low. The latest Commitment of Traders report shows fund money trimming their overall net corn short position a little, but not by much (down 3.6k lots from a week ago). They are now net short 134k contracts as of Tuesday night. Mar 16 Corn settled at $3.54 1/2, down 1 cent; May 16 Corn settled at $3.59 1/2, down 1 cent. On the week Mar 16 was 11 cents easier and May 16 fell 9 3/4 cents. Wheat: The wheat market closed a touch lower on the day, and lower across the board for the week. The Outlook Forum put average US all wheat yields in 2016 at 45.9 bu/acre (up from 43.6 bu/acre a year ago). Even so, a sharp drop in plantings will see production fall to 1.991 billion bushels from 2.052 billion in 2015, they suggest. Exports in 2016/17 will increase 75 million bushels to 850 million, they predict. That puts ending stocks at a hefty 989 million bu, up 23 million versus 2015/16. So, even with US growers planting the smallest wheat area in 46 years for 2016, ending stocks are still seen rising. 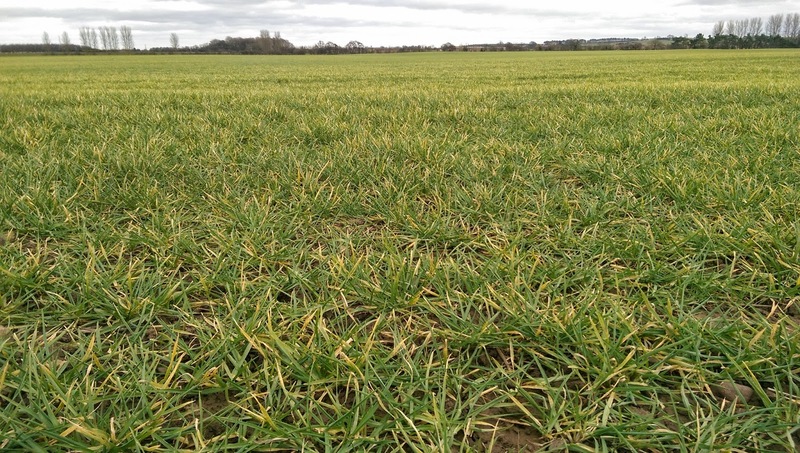 FranceAgriMer rated 94% of their winter wheat crop as being in good to very good condition. The latest Commitment of Traders report shows fund money adding 14k lots to their overall net short in Chicago wheat, taking that up to nearly 99k contracts. May 16 CBOT Wheat settled at $4.52 1/4, down 1 3/4 cents; May 16 KCBT Wheat settled at $4.54 1/4, down 2 3/4 cents; May 16 MGEX Wheat settled at $4.90, down 1 3/4 cents. Chicago wheat finished the week 14 1/2 cents lower than it began it, with Kansas wheat down 12 cents and Minneapolis losing 7 3/4 cents.